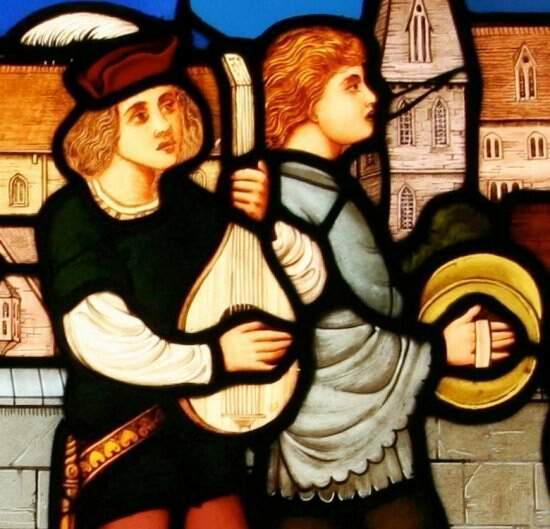 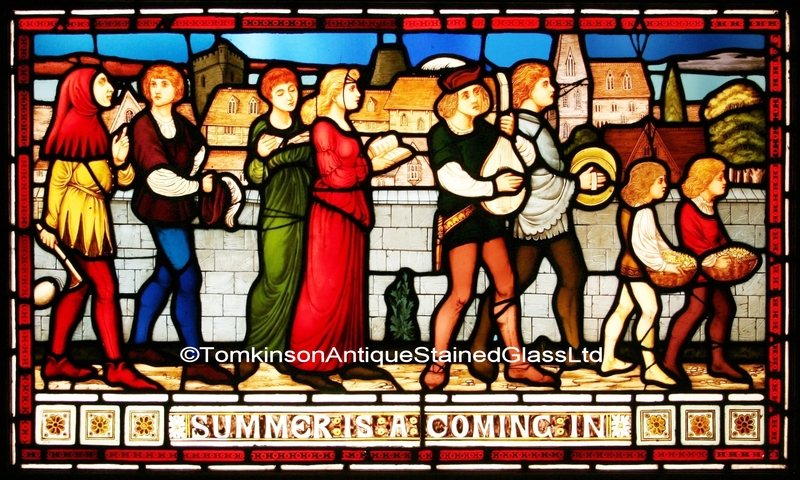 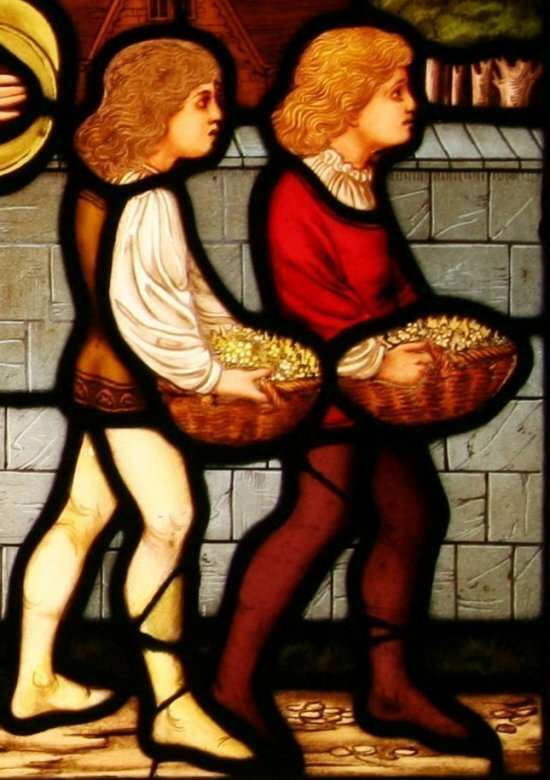 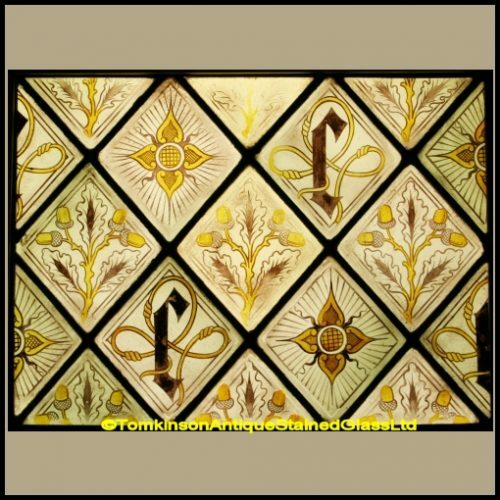 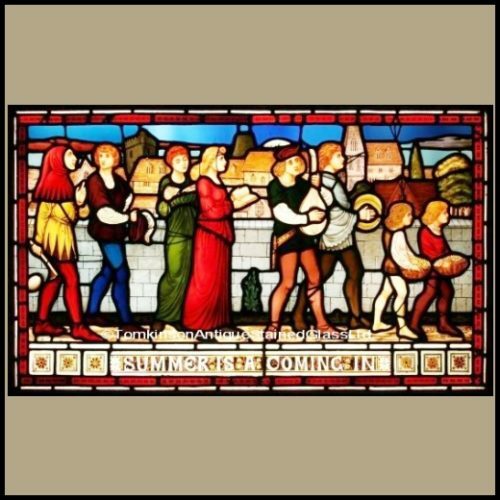 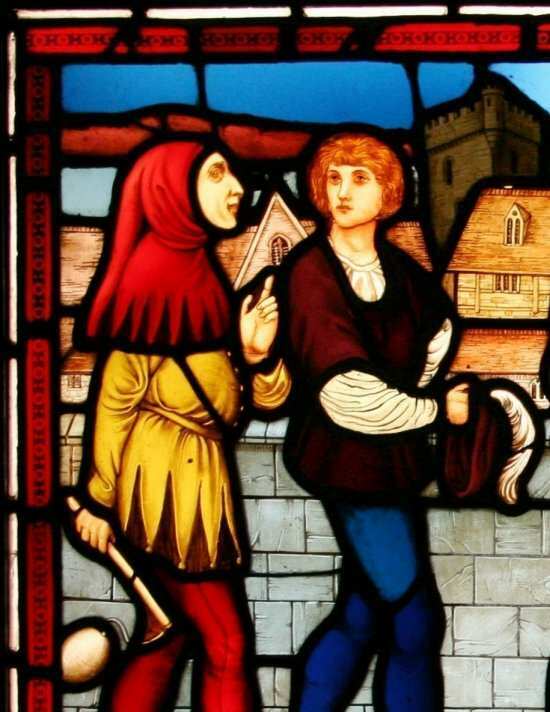 Antique Victorian stained glass window, c1875, leaded with coloured glass and hand painted possibility depicting a scene from Chaucer’s Canterbury Tales and showing a procession of wandering Minstrels/Troubadours. 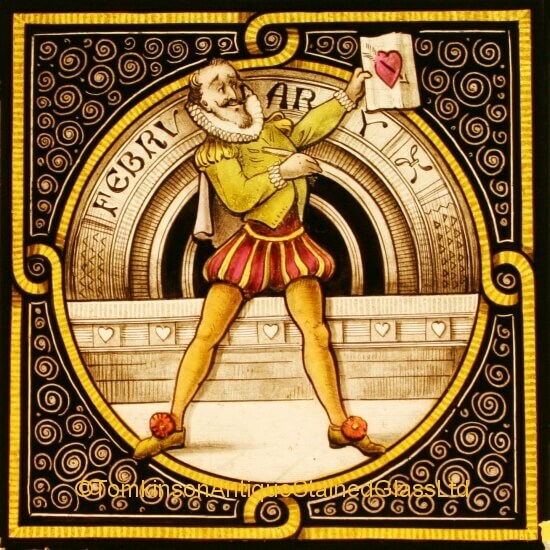 A Jester, Ladies singing and reciting Poetry, Musicians lead by two Pages carrying baskets of Flowers. 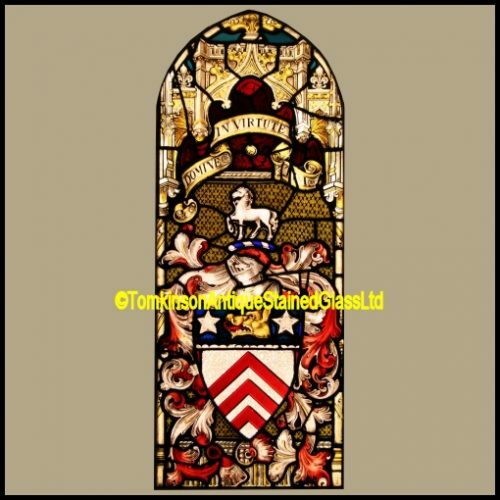 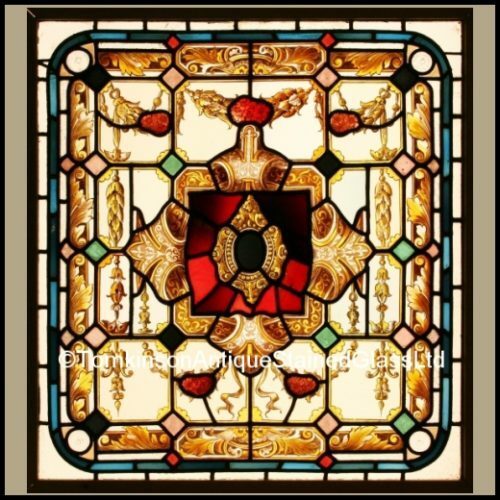 The window has had some restoration which has kept it in its original condition. 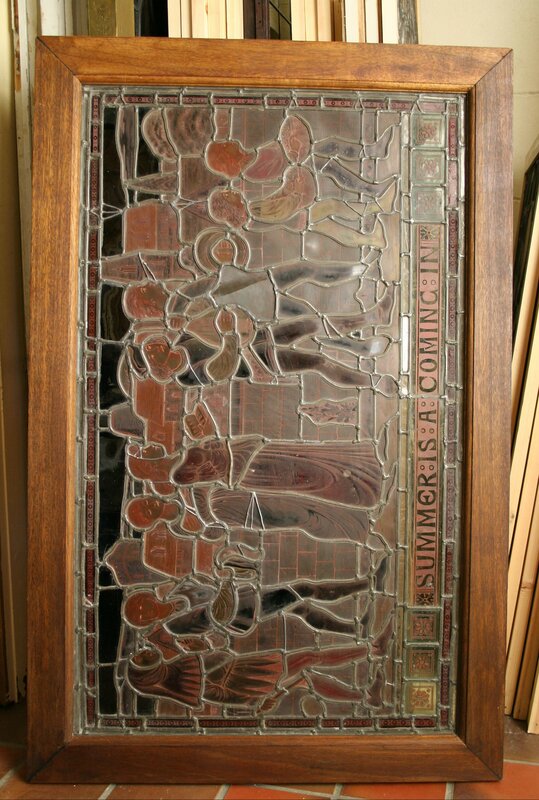 Now in a wooden frame of a later date. 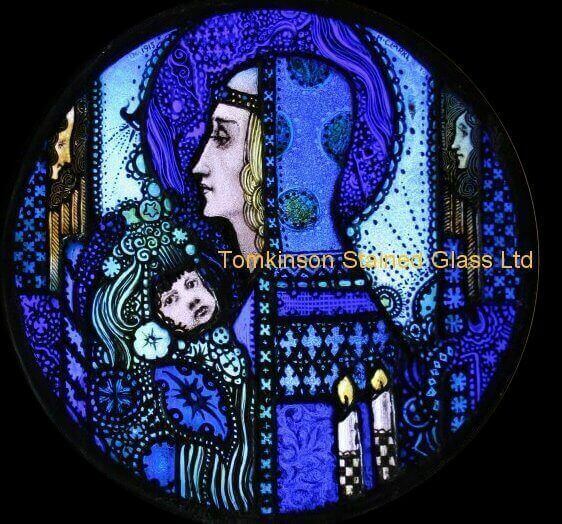 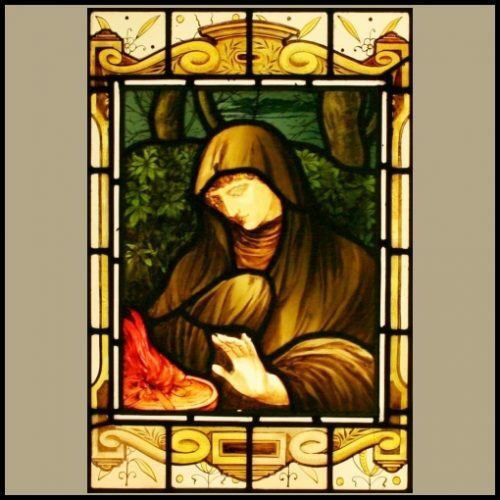 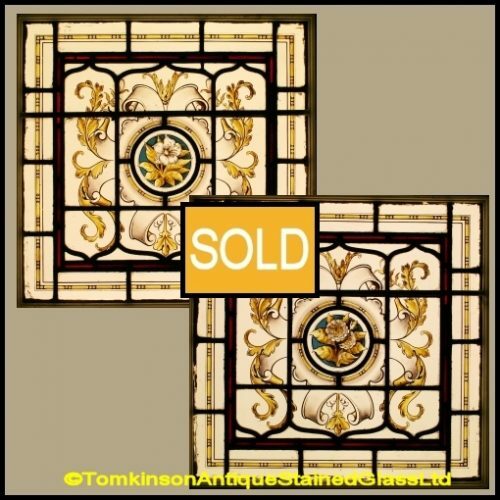 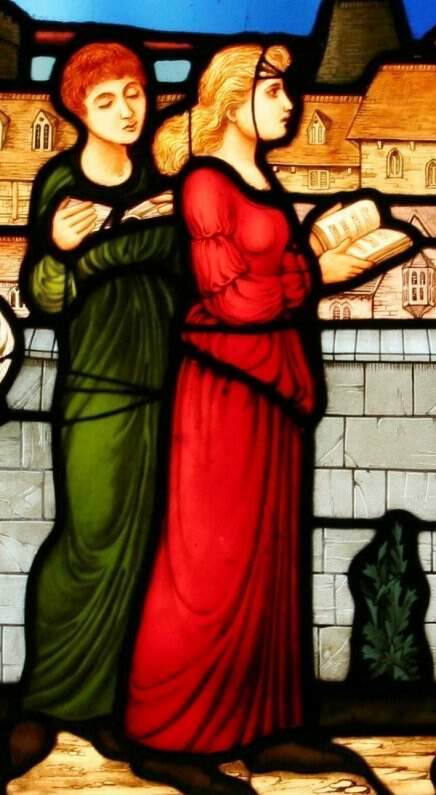 A lovely window and very much in the Arts & Crafts/Pre-Raphaelite style. “Summer Is A Coming In” is one of the oldest medieval English songs/rota and was composed mid-13th century.